This new collection from Karl Petersen explores the urban landscape of Vancouver, BC. The poems both celebrate city life and express a yearning for belonging amid urban complexity. Petersen finds redemption from without and from within the city's walls where we hear cries for a significance of person and place. Often, the most unexpected revelations are found in the city's hidden corners. 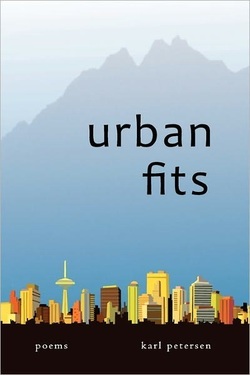 The title, Urban Fits, suggests the neurotic state of urban life and questions whether the urban environment is fit for human life, but the title also implies that we who live there must fit ourselves the city as home. With humour and word play, through deft, vivid phrasing and startling metaphor, the voices in these poems offer spiritual insight into urban life.